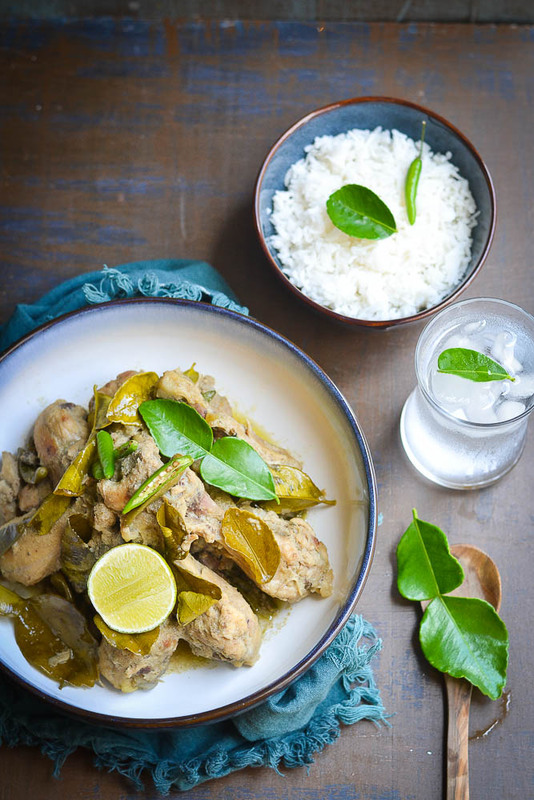 Today I am going to share a chicken recipe with a special type of lemon called “Gondhoraj Lebu”. It’s almost juice-less lemon, wrapped in a green rind. It’s mainly grown in West Bengal and its aroma and flavor send most Bengalis into the world of joy. Today’s generation of chefs is featuring it widely in their new dishes. 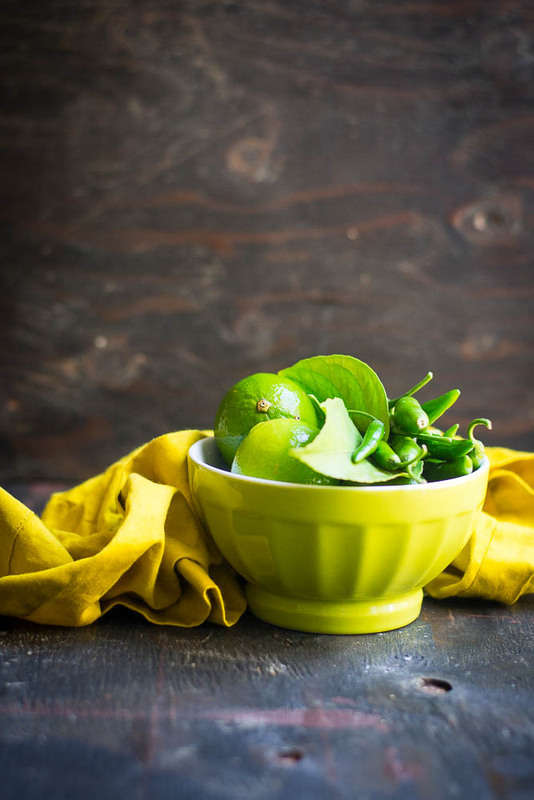 Whether it’s simple fish, chicken or vegetable dishes, few drops of juice and aromatic pulp of this lime is sufficient enough to juice up your lunch or dinner on a hot summer day. 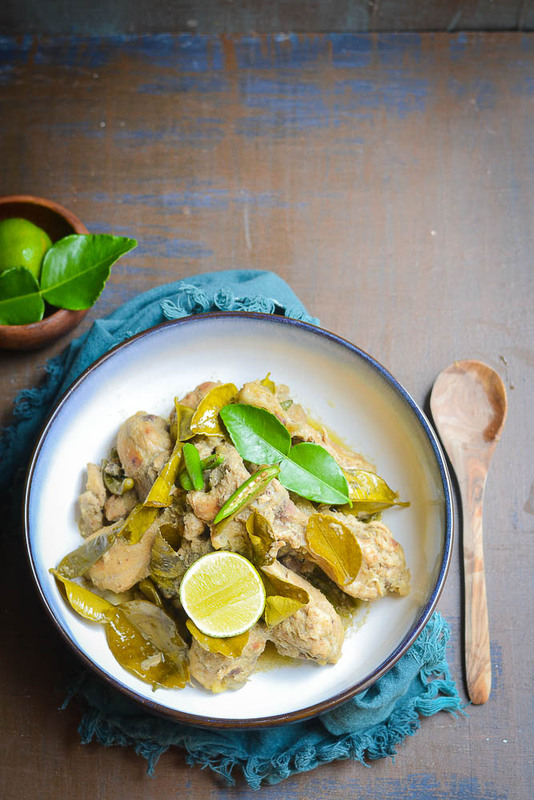 The name of today's recipe is “Lebu Lonka Murgi”. 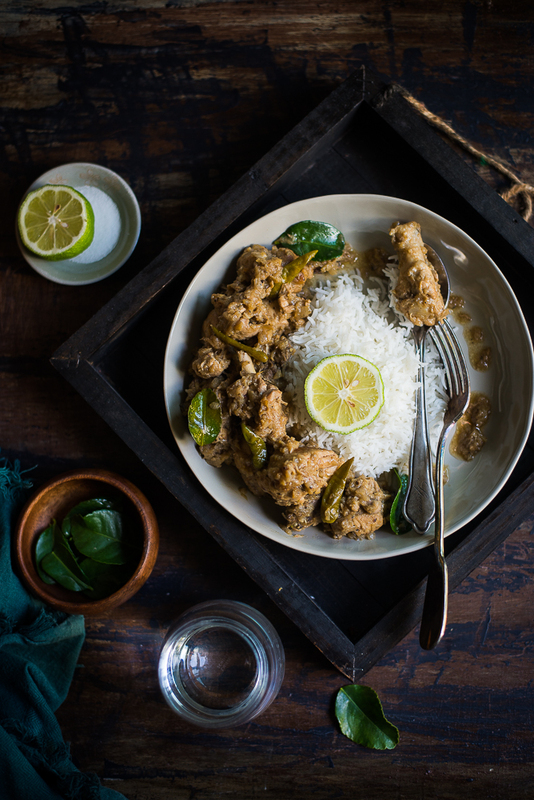 The origin of this dish may be from the chefs of a popular Bengali Restaurant called Bhajohori Manna and later it made entry to modern day Bengali's kitchen. 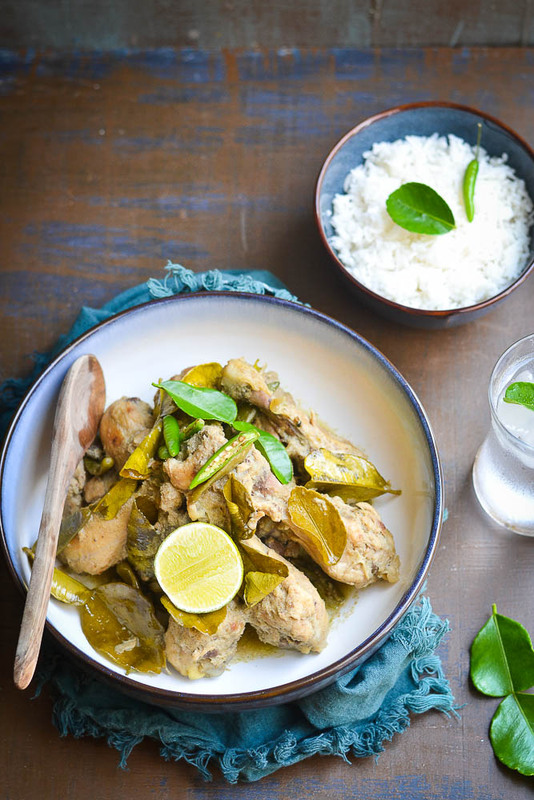 Last week I tried this new chicken recipe at our home and everyone loved the taste. First let me admit that this may not be a good looking dish with its thin and white-brownish curry, but most fresh and flavorful Chicken Curry I have ever made. 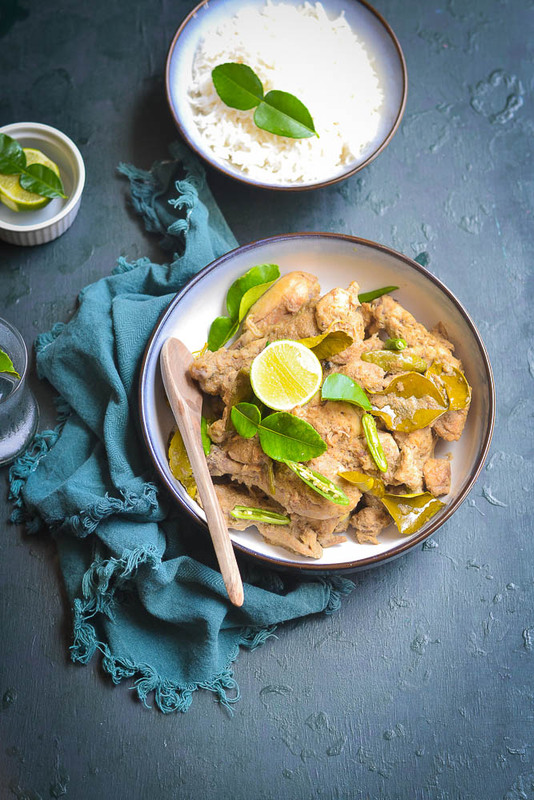 When you don't feel hungry after having rich curry and lose your appetite, can try this tangy chicken curry to get your appetite back. 1. Take a nonreactive bowl, add chicken pieces to it. Now add half of the yogurt, onion juice, ginger and garlic paste, chili paste, lime juices, coriander powder, half of the oil and salt to the chicken. 2. Mix it well and let it rest for about an hour. 3. Take a big pan, add the remaining oil and heat it up. Add cardamoms and wait until nice smell comes up. 4. Take the chicken pieces from the marinade and add to the pan. Fry them on medium high heat till the chicken pieces start to get light brown. 5. Now add the marinade along with the remaining yogurt to the pan. Stir to mix it well. Add the lime leaves. Cover the pan and let it cook on medium high heat until chicken is cooked. 6. Check the seasoning, add more salt or sugar if needed. Add the green chilies, give some stirs and turn off the gas. Serve hot with plain rice or Indian flat bread. Stunning... adequate substance material best, especially pulled in toward the design of your blog and the substance material too. You have imparted extraordinary bits of knowledge to regard to this internet organizing. no two ways about it I were given a few new matters from perfect here I increased in value over read your weblog appropriate.